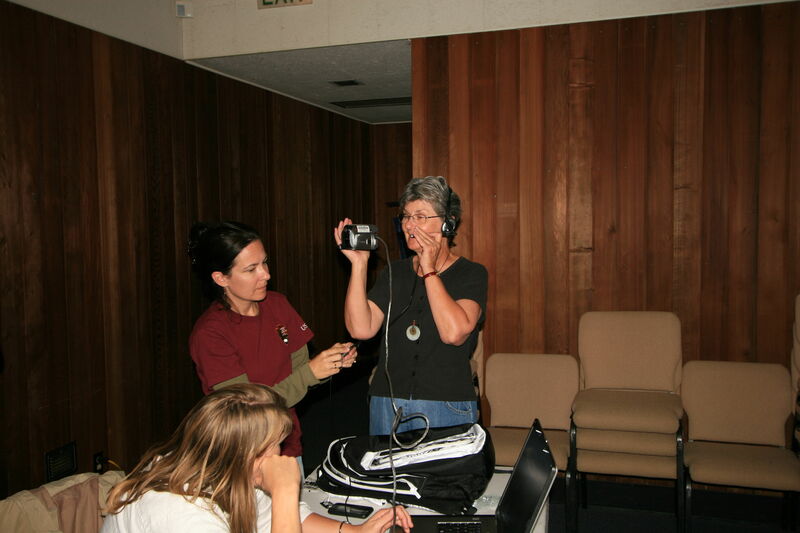 HPWREN and SDSU Field Stations Program led a two-day Technology Transfer Workshop and Live Interactive Virtual Exploration (LIVE) backpack system training for National Park Service staff and educators. 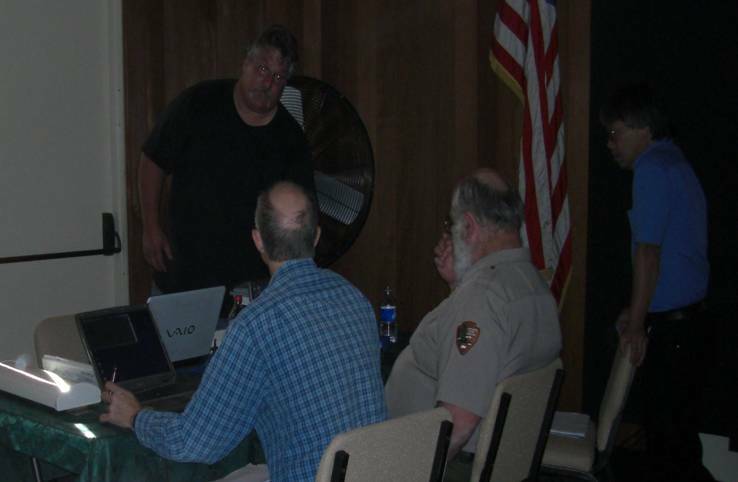 Participants learned the basics of how to plan and install a wireless system which supports LIVE distance education programs and environmental sensors. 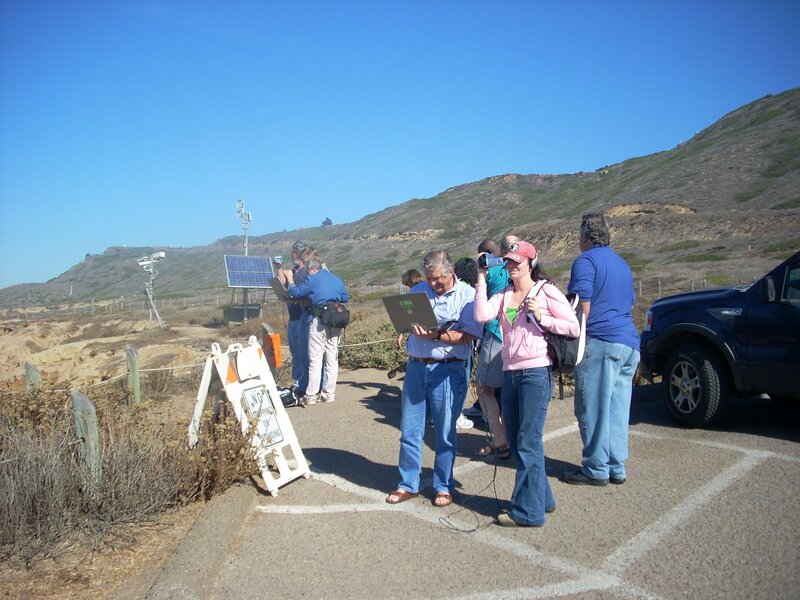 The goal of the workshop and training session was to cultivate expertise with wireless systems and LIVE distance education programs in the National Park Service. 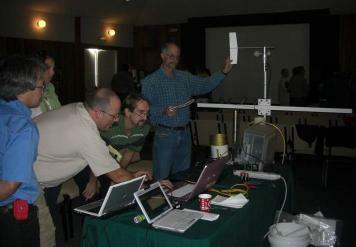 Workshop participants gained an understanding of wireless data systems sufficient to plan and implement a system at their parks. 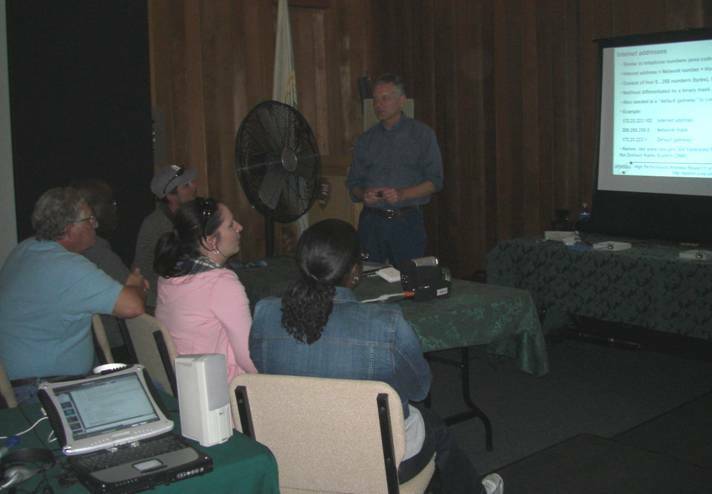 NPS staff practiced their skills will now form regional teams to assist each other in planning and installing systems which meet the needs of their parks. 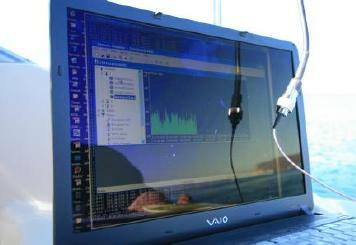 Copies of workshop materials are available at http://hpwren.ucsd.edu/20081113_NPS-TT-Workshop. Parks and schools from across the country sent representatives including: Biscayne National Park (FL), Cabrillo National Monument (CA), Channel Islands National Park (CA), Cochise and Santa Cruz County Schools (AZ), Coronado National Memorial (AZ), Dade County Schools (FL), Death Valley National Park (CA), Fossil Butte National Monument (WY), Grand Canyon National Park (AZ), National Park Service Intermountain Regional Support Office (CO), Joshua Tree National Park (CA), Pinnacles National Monument (CA), South Broward Schools (FL), University of Arizona (AZ), Yellowstone National Park (MT), Yosemite National Park (CA), and Vista Unified School District (CA). 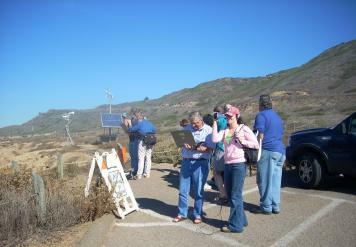 Hans-Werner Braun provided an overview of HPWREN and general network systems, Susan Teel reviewed the history of the Cabrillo National Monument wireless system and LIVE backpack project, Pablo Bryant reviewed San Diego State University Field Stations Program activities, provided more details about environmental sensors, and shared examples from Santa Margarita Ecological Reserve. Mike Maki, National Park Service, discussed Department of Interior (DOI) rules associated with wireless networking and video conferences. 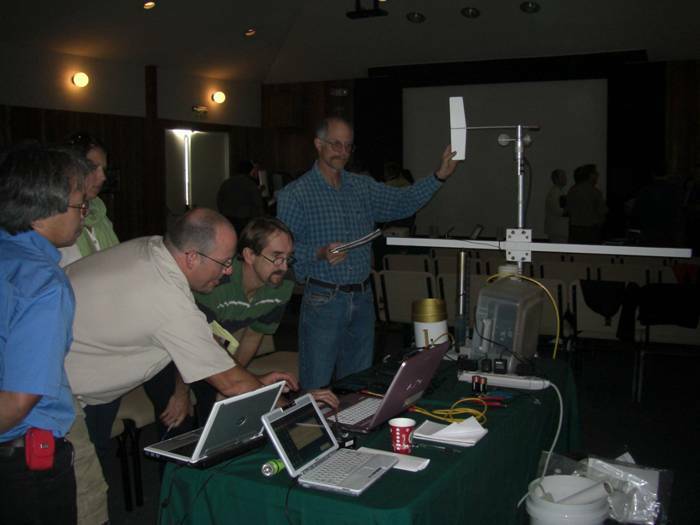 Four concurrent sessions were conducted, where participants rotated through four stations, while receiving hands on experience and becoming familiar with wireless radios, access points, cameras, and environmental sensors. 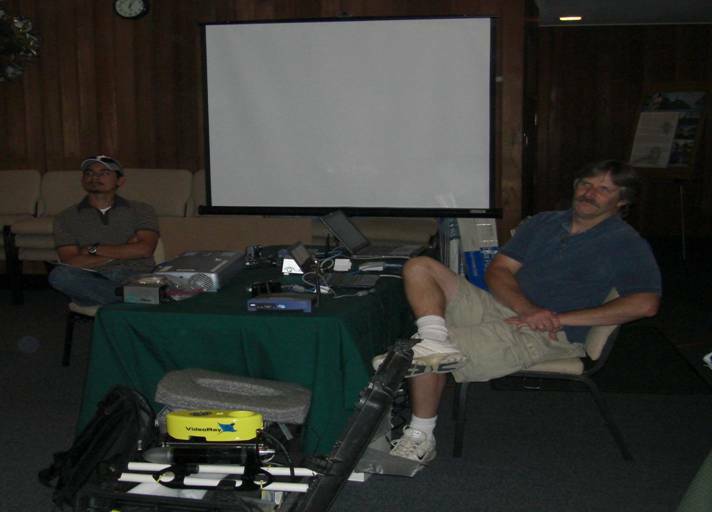 Hans-Werner (top left), Jim (top right), Pablo (bottom left), and Mike (bottom right) introduced groups of 5-6 trainees to the equipment at the stations and led them through the basics of how to build, configure, operate, and explore opportunities with the equipment. The first day of the workshop culminated at the Cabrillo National Monument lighthouse, where attendees assisted the instruction team in building a complete system at a remote location which included a point-to-point wireless link for Internet access, a local access point, environmental sensors, a camera, and a LIVE backpack. 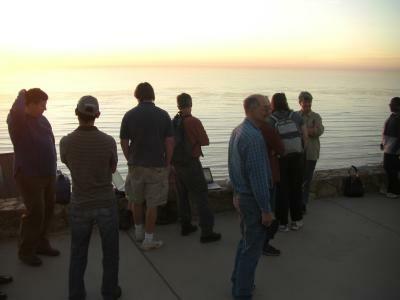 NPS Rangers and Educators gather at the Cabrillo Light House to assemble components to build the sensor system at a remote site. 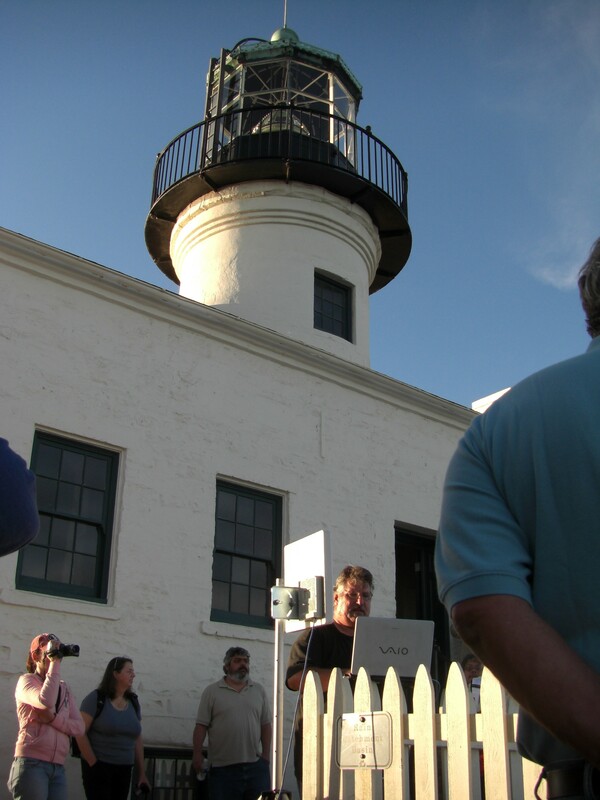 Garry Forger, University of Arizona (top right), demonstrates the LIVE backpack and leads a short tour of the lighthouse for his colleagues gathered around Pablo Bryant (bottom right). The second day of the workshop began with an informal review and question and answer session led by Hans-Werner, Jim, and Mike. National Park Service staff discussed ideas for their park and peppered the instructors with questions. Kimberly Mann Bruch led the Sea to Shining Sea LIVE backpack session with assistance from Jim Hale, Mike Maki, Cruz Jimenez, and Ulysses Huerta who assisted groups with setting up and testing the LIVE backpacks. 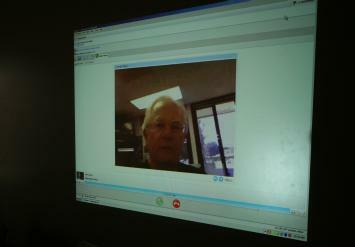 Nine teams assembled and tested the backpacks, and used Skype to communicate with science teacher Roger Wynn from Mountain Empire Schools. 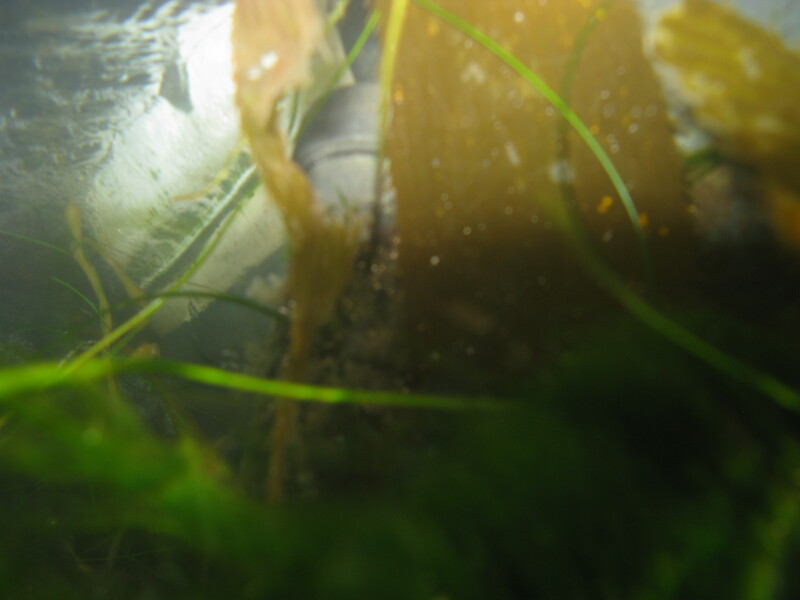 In short time, the teams took the backpacks to the rocky intertidal area and initiated LIVE programs. 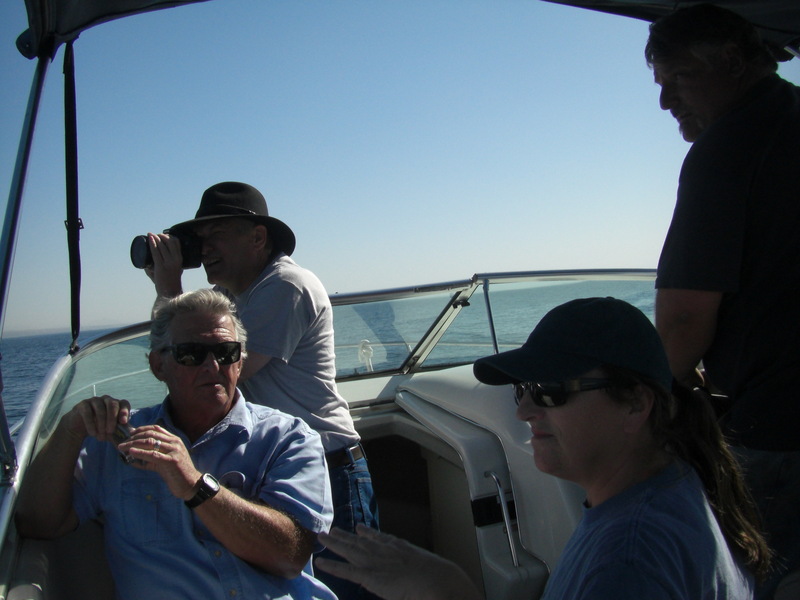 Jim Hale provided troubleshooting assistance at the tidepools. 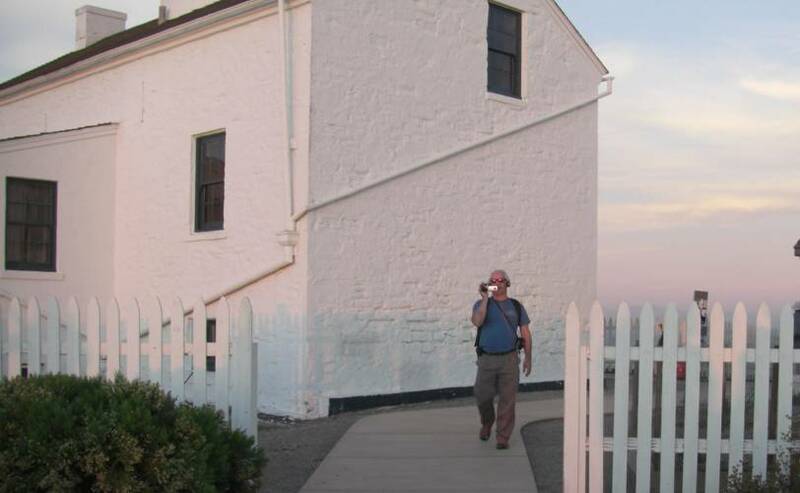 Roger Wynn, Mountain Empire School science teacher (top left), graciously fielded many Skype calls from excited workshop participants conducting LIVE programs from the tidepools at Cabrillo National Monument. 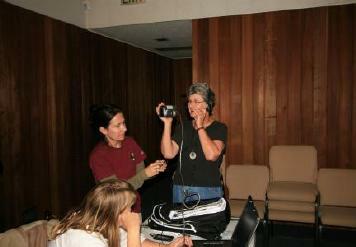 Sandra Kaye from Joshua Tree National Park (top right) experiments with the LIVE backpack. 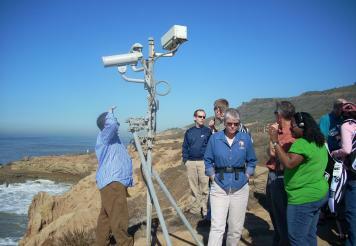 The NPS camera station at Zone 1 near the tidepools is shown in the bottom row photos. The workshop was topped off Friday afternoon with a field trip to San Diego State University's Santa Margarita Ecological Reserve (SMER). This 4,600 acre research reserve served as an example for NPS staff to visualize a multitude of environmental sensors in a remote setting similar to parks. 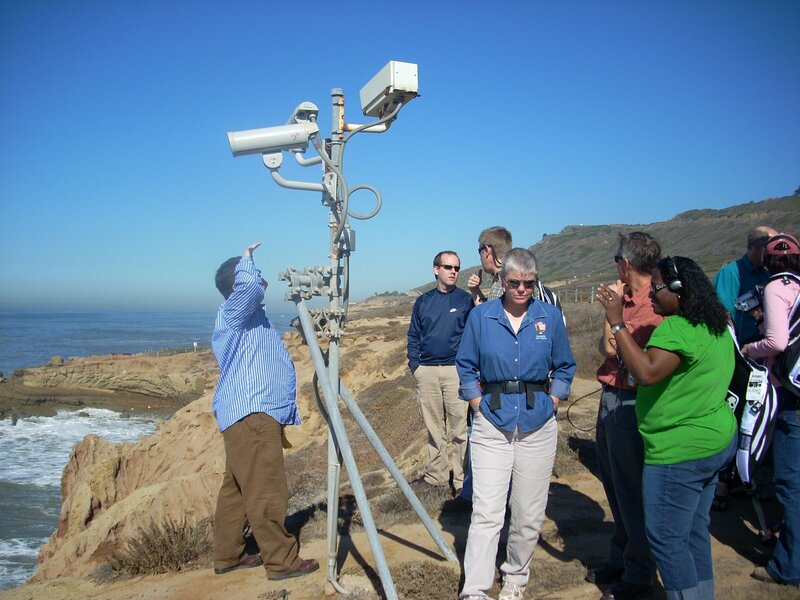 NPS Rangers and Educators toured SMER with Pablo Bryant, who discussed the SMER network, how it is connected to HPWREN and details related to the various sensor stations. 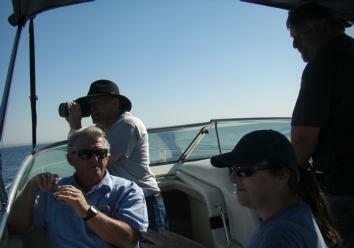 Tour of the Santa Margarita Ecological Reserve, led by Pablo Bryant. 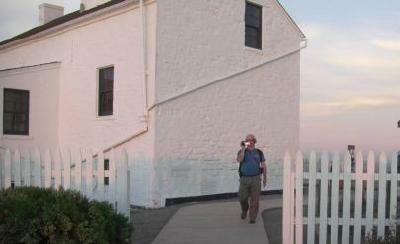 Arvid Aase, Fossil Butte National Monument, looks through a spotting scope to locate sensor stations and wireless nodes at SMER (top right). 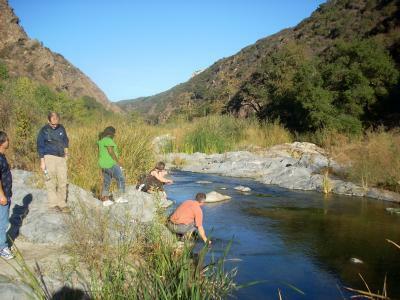 The picture on the left shows participants at the Santa Margarita River. 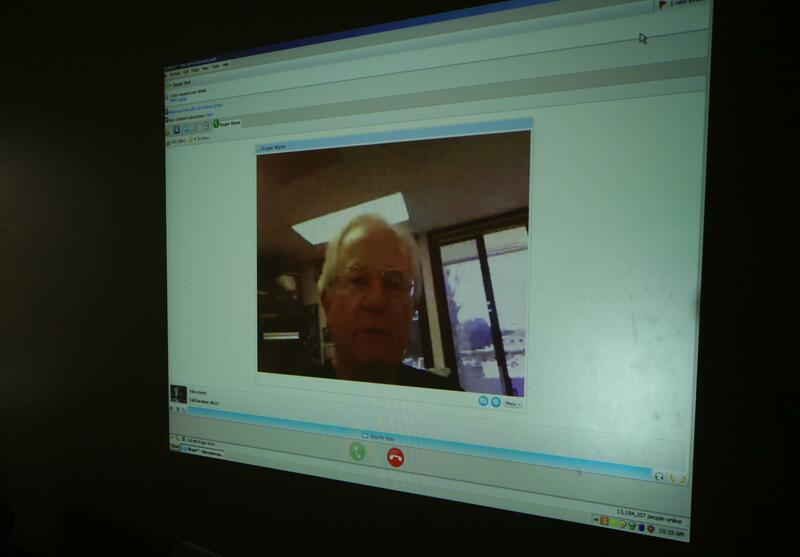 Due to Department of Interior (DOI) restrictions on video conferencing and streaming video, we are hopeful that workshop participants will form collaborative partnerships with universities, educational organizations, and schools similarly to the NPS-HPWREN collaborative model which enables wireless connectivity and LIVE programming. 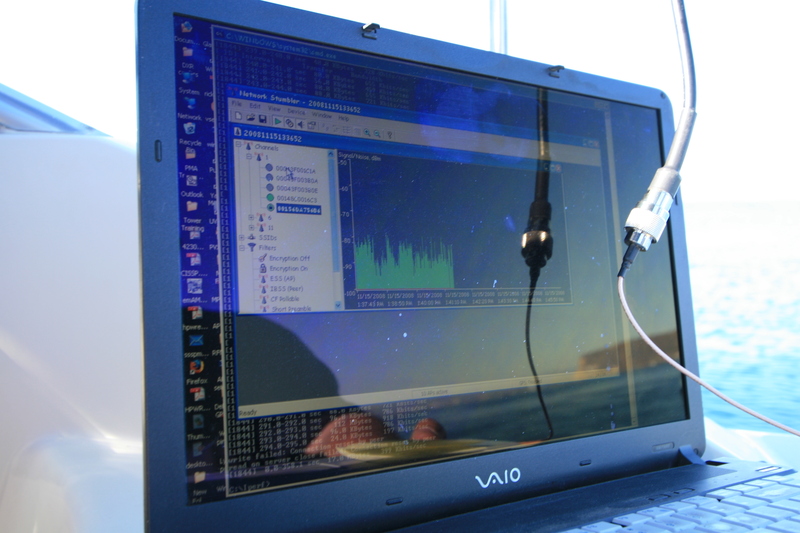 An off-shore communications test was a success and we were able to connect to Bud Hale at a distance of approximately two miles off-shore. 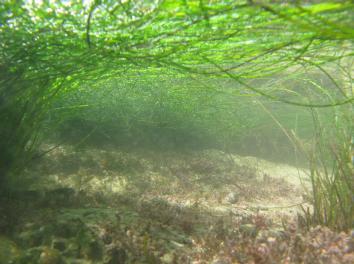 While this distance is not sufficient for the location Richard Curry hopes to conduct underwater LIVE programs, it may be modified to suit the needs of Biscayne National Park. 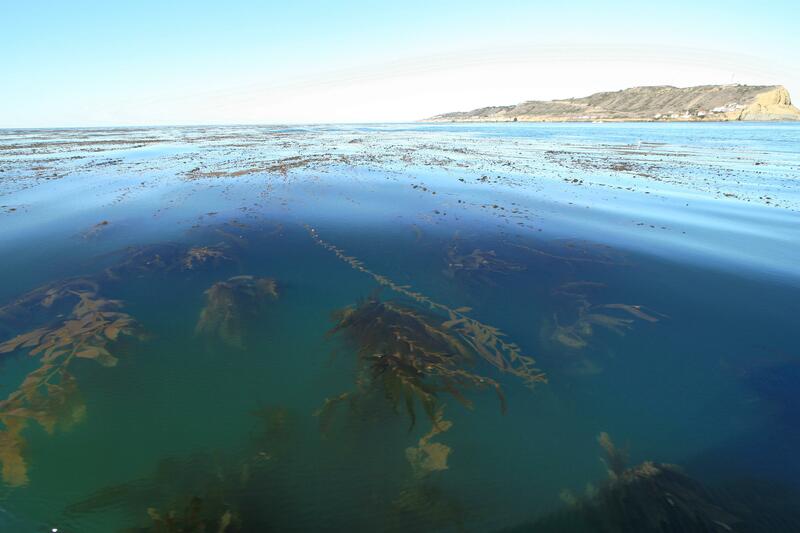 Hans-Werner brought a 12 megapixel camera with an underwater housing which we used to take pictures of the tidepools (left photo) and the kelp forest (right photo). 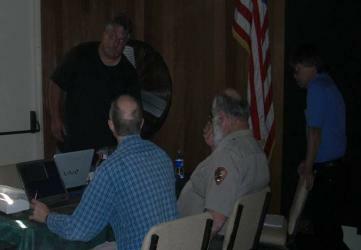 The workshop was a success, and several parks are already moving forward to plan systems to support LIVE programs, environmental sensors, and remotely located cameras.